Four Porsche 911 GT3 R race cars will contest the 70th running of the 24 Hours of Spa. Regarded as one of Europe’s major long-distance classics alongside the 24-hour races of Le Mans and the Nürburgring, Spa marks round two of the Intercontinental GT Challenge and the fourth race of the Blancpain GT Series Endurance Cup. Porsche supports four customer teams with works drivers and engineers at the race on 28-29 July. Tackling the event are the two Porsche teams from the Blancpain GT Series Endurance Cup, Manthey-Racing and Herberth Motorsport, as well as the KÜS Team75 Bernhard and Black Swan Racing squads. Six current works drivers as well as the former factory driver and the current head of Porsche Customer Racing, Marc Lieb, form the driver crews in the four ca. 500 hp customer racers. For the marathon race in Belgium, 68 cars from 13 marques are entered. 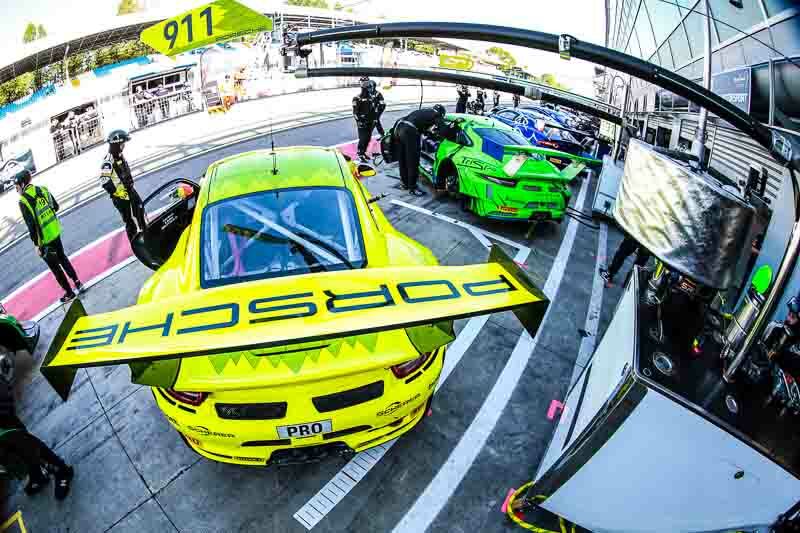 In addition to the 64 vehicles that comply with the FIA GT3 regulations, four other vehicles are registered, including three Porsche 911 GT3 Cup cars. First contested in 1924, the Spa 24-hour race is just one year younger than the legendary long-distance classic at Le Mans. The last overall victory for Porsche in the Ardennes was achieved in 2010 with Romain Dumas, Jörg Bergmeister, Wolf Henzler and Martin Ragginger in the Porsche 911 GT3 RSR fielded by the BMS Scuderia Italia team. Since 2011, the event on the 7.004-kilometre Circuit de Spa-Francorchamps has represented a highlight on the international GT3 calendar. The presentation of the race cars on Wednesday in a motorcade from the racetrack to the town of Spa has become legendary. The race takes off on Saturday at 16.30 hours.